Fox & Friends is telling its viewers to beware of Pete Buttigieg. The hosts of the Fox News talk show were clearly alarmed that the mayor of South Bend, Ind., who announced his formal candidacy Sunday in a moving speech, would appeal to moderates and conservatives with his oratorical style of plain speak. “He just phrases that in a way that’s much more palatable, and be careful, because I know somebody else who did that and his name was President Barack Obama. So pay attention," said Bila, who reminded viewers how Obama was able to win two presidential elections. 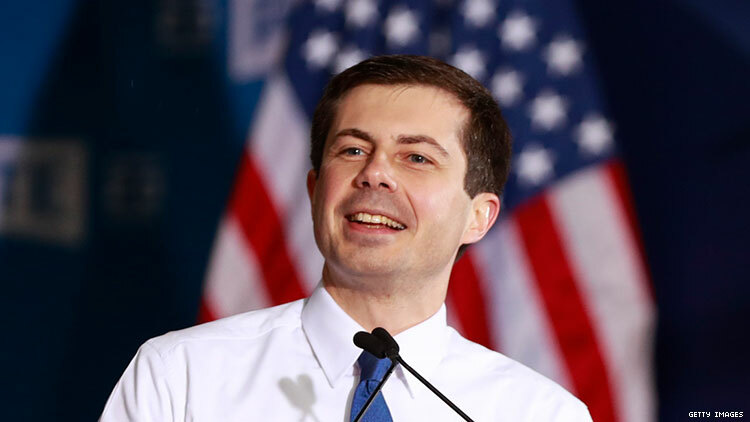 The hosts were particularly concerned that Buttigieg — the first out LGBTQ Democrat to be a major presidential candidate — attacked President Trump's "Make America Great Again" campaign slogan in his announcement speech. Buttigieg called MAGA a "myth" and "an impossible promise of returning to a bygone era that was never as great as advertised to begin with." The talking heads at Fox & Friends — a favored show of President Trump — also expressed alarm that Buttigieg is now in the "top tier" of Democratic contenders. Indeed, a recent New Hampshire poll ranked the mayor as surging to third place among the large pool of candidates. In his speech, Buttigieg, who would be the first gay and first millennial president if he wins, made clear he represented change. “It’s time to walk away from the politics of the past, and toward something totally different,” he said. “So that’s why I’m here today, joining you to make a little news: My name is Pete Buttigieg. They call me Mayor Pete. I am a proud son of South Bend, Indiana. And I am running for President of the United States." Watch the Fox & Friends segment below.